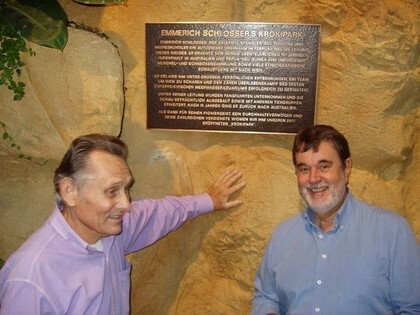 After the success of the Tropical house which enabled the visitors a different way of experience, the concept of moving-freely-around animals was implemented in the "Emmerich Schlosser-Krokipark" as well. 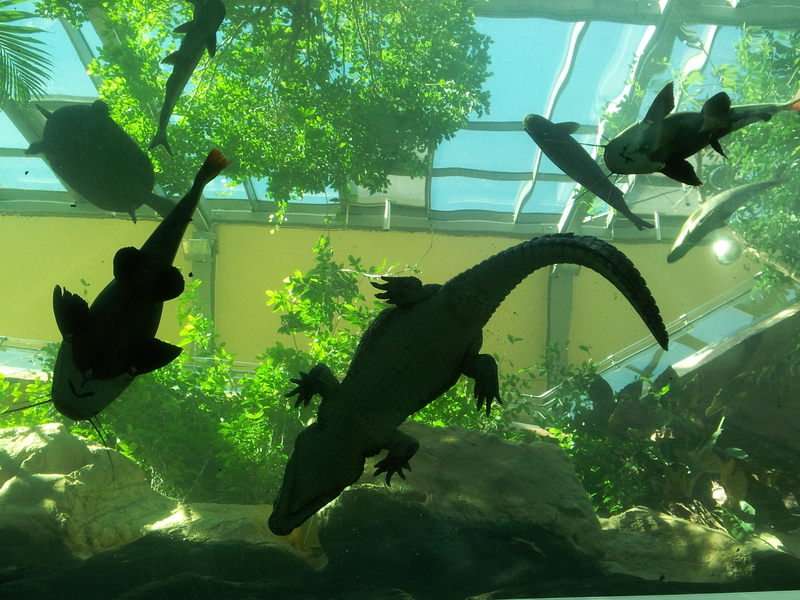 As a curiosity, one part of the bottom of the water tank was made from glass so that the visitors can see directly into the crocodile tank, right away in the entrance hall. Crocodiles count without a doubt among the biggest Reptiles in the world: alligators, gharials and the actual crocodiles. 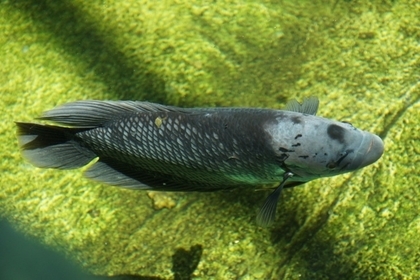 Many exhibited fish are favorite meal in their land of origin, for example pangasius. Most of the birds in the Crocodile Park originate from Africa. 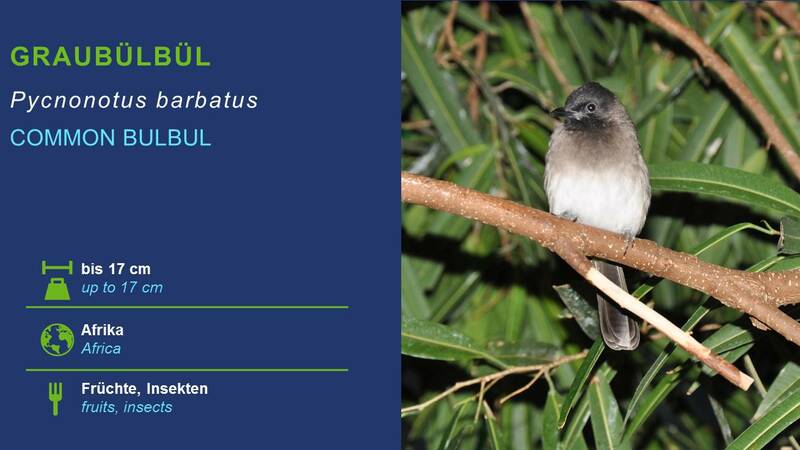 Lamprotornis, Turacos and Tocos count among the most characteristic ones. The best singing birds of the African continent are the slender-billed starlings. They could put up with our domestic Nightingale or blackbird. The most striking birds in flight are definitely Turacos. 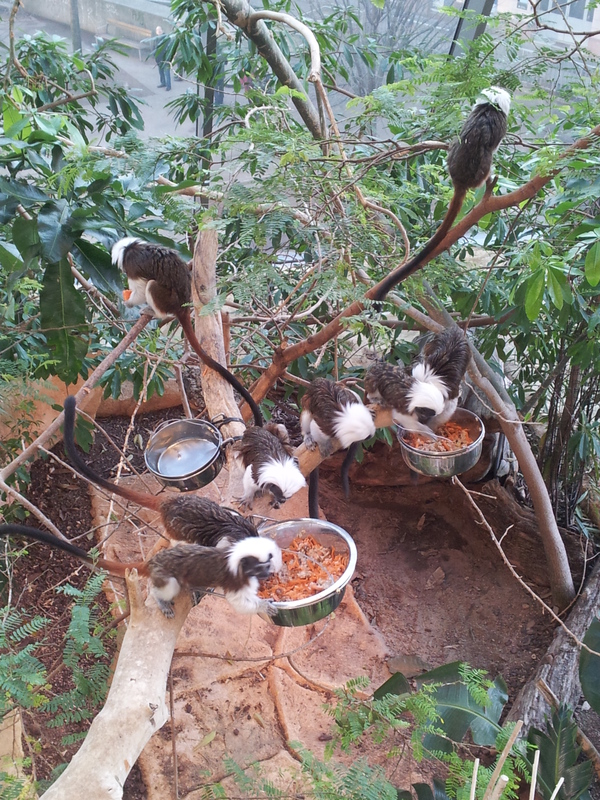 As the only mammals there is one family of cotton-top tamarins in the Crocodile Park. 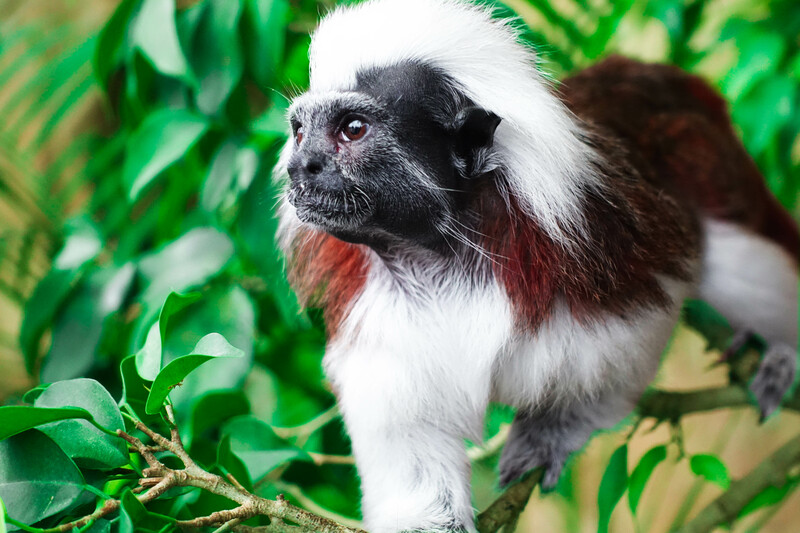 They inhabit only a small area in north Colombia and count among the most endangered species of the New World monkeys.